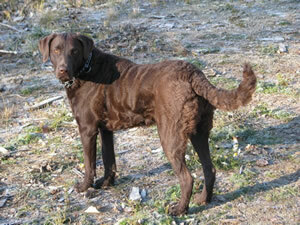 Chessie’s share common characteristics with other members of the retriever family; however they are uniquely their own dog. Deeply devoted to their family, their love of children and protectiveness is just one of the breeds many virtues. In the field, their excellent noses combined with marking abilities and perseverance makes them a first class hunting dog. They are as comfortable in water as they are on land. 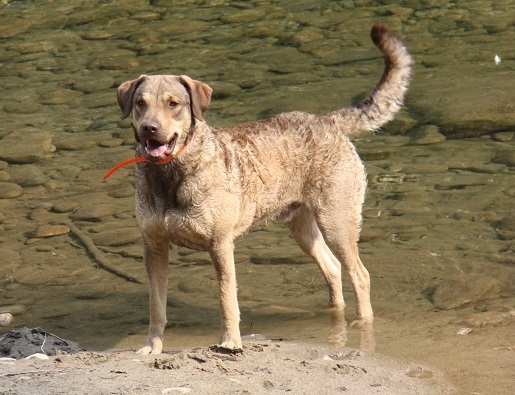 The Chessie’s desire to retrieve water foul in any kind of weather have made them legendary in the hearts of many hunters. 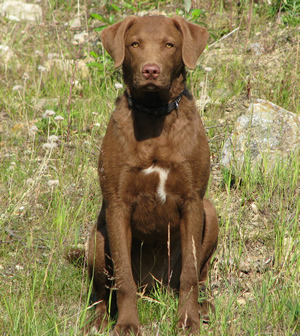 While happy enough just to be a member of the family, the Chessie is first and foremost a working dog. They require daily exercise and enjoy being worked on a regular basis. 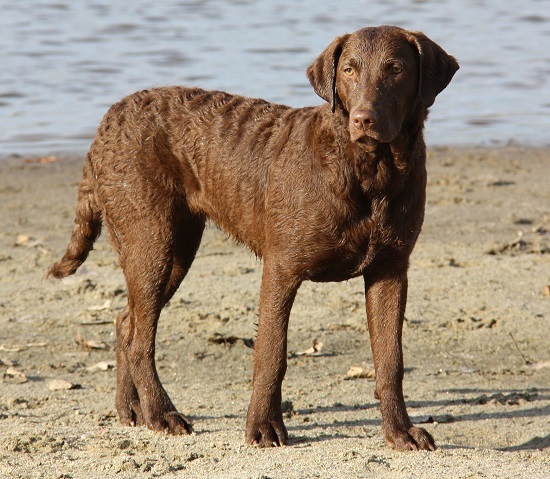 The Chesapeake is a low maintenance breed requiring very little in the way of grooming and personal care. 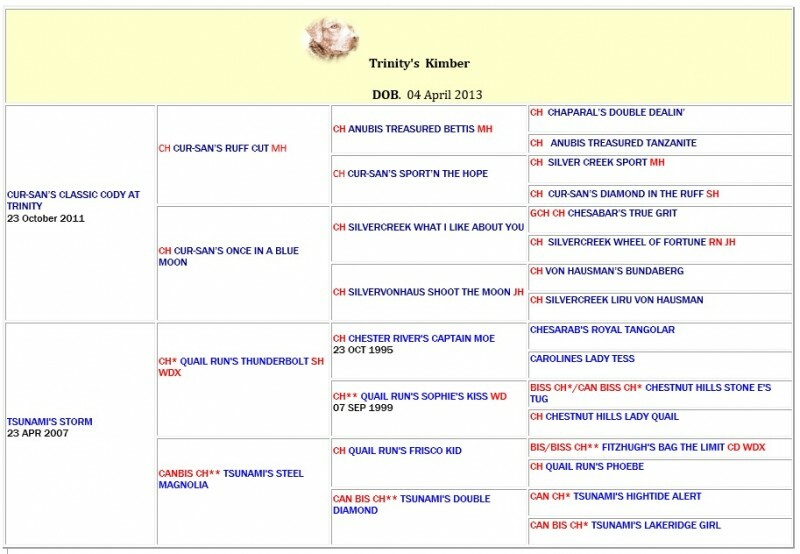 Responsible breeding programs that concentrate on keeping the breed free of congenital defects (hip/eyes etc.) should result in a healthy and active life. 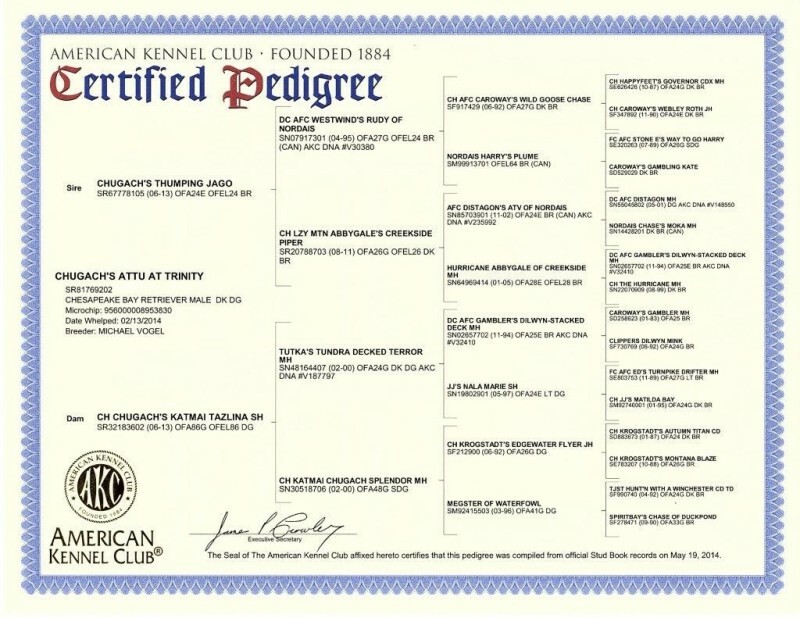 © All images and information on this website are property of Trinity Kennels and can not be used in any way, anywhere, without specific permission from Trinity Kennels.